Hice esta Syrma para probar acuarelas nuevas y de paso participar en un fanzine sobre la Primavera. Cover for the first book of Ciro, started in summer of 2017 and finished in summer 2018. ¡Practically a whole year! I abandoned it and later retake and fixed some things I didn’t like. 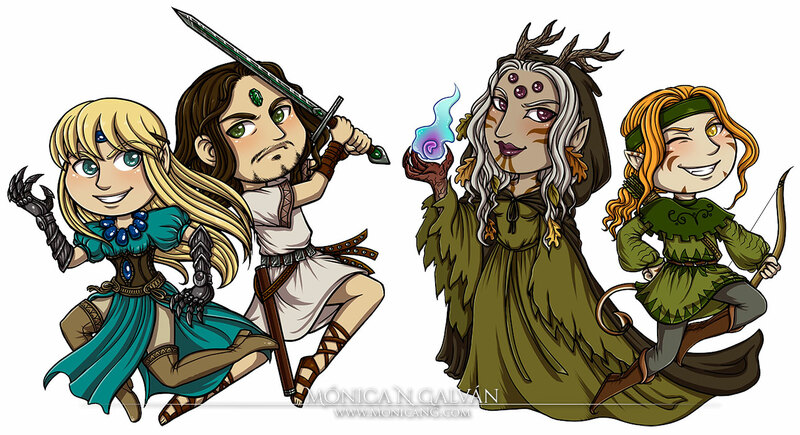 Chibi versions of the main characters of my project MoonSlayer. 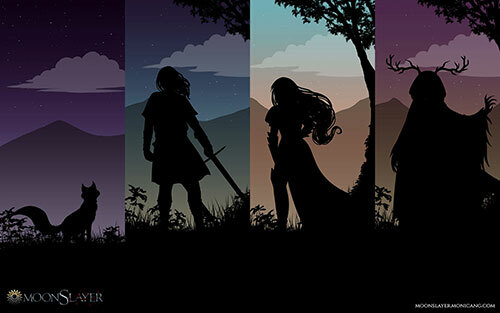 Made to be charm designs. ClipStudio. 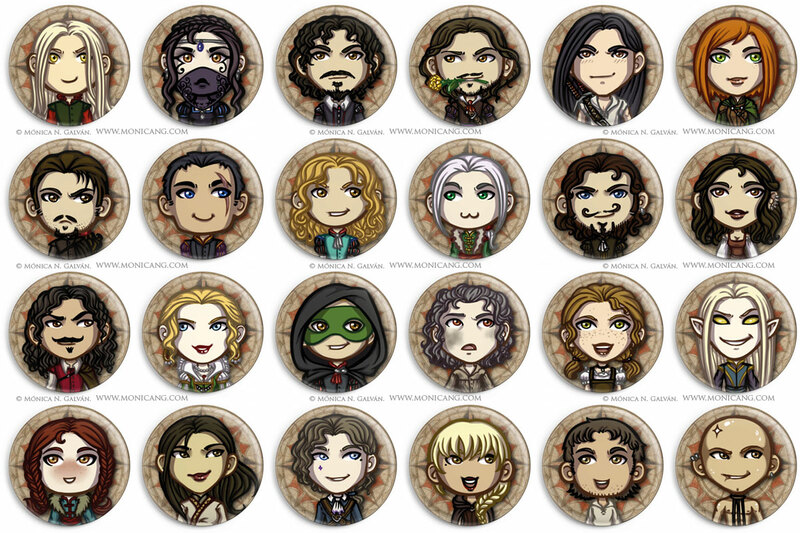 Chibi versions of the main Arundar of my project MoonSlayer. 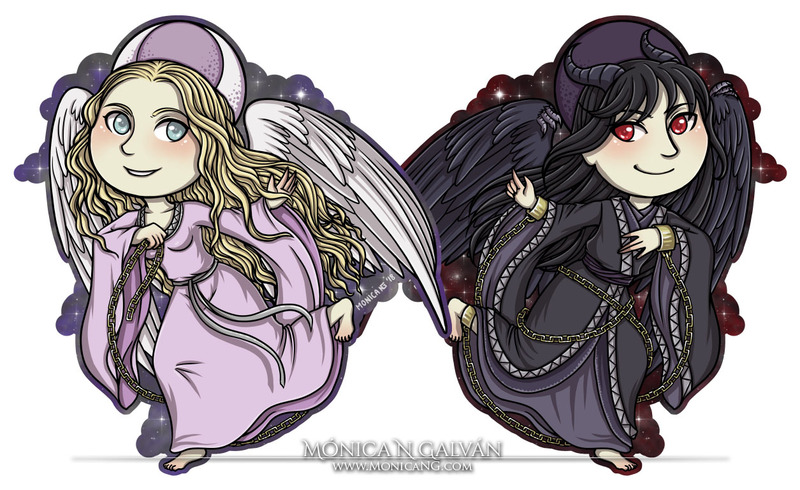 Made to be charm designs. ClipStudio. 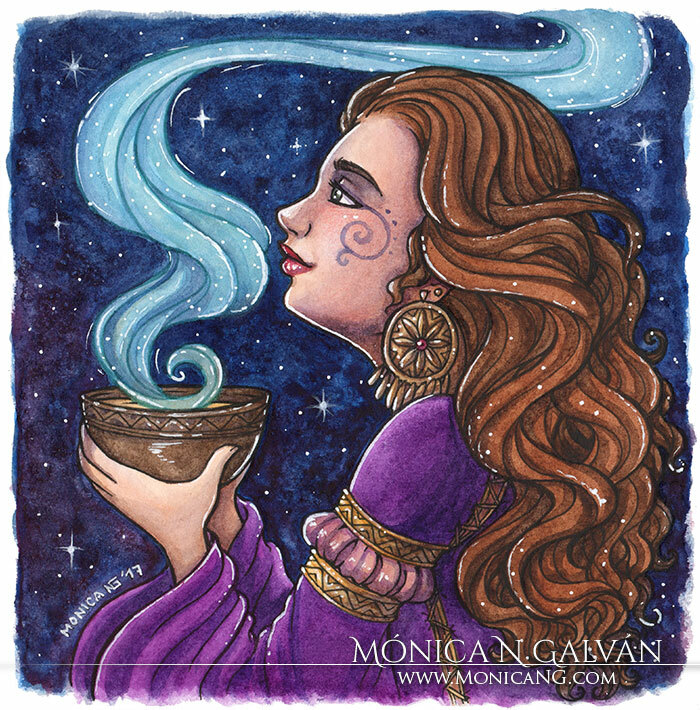 A sorceress selfportrait. Ink + watercolors. 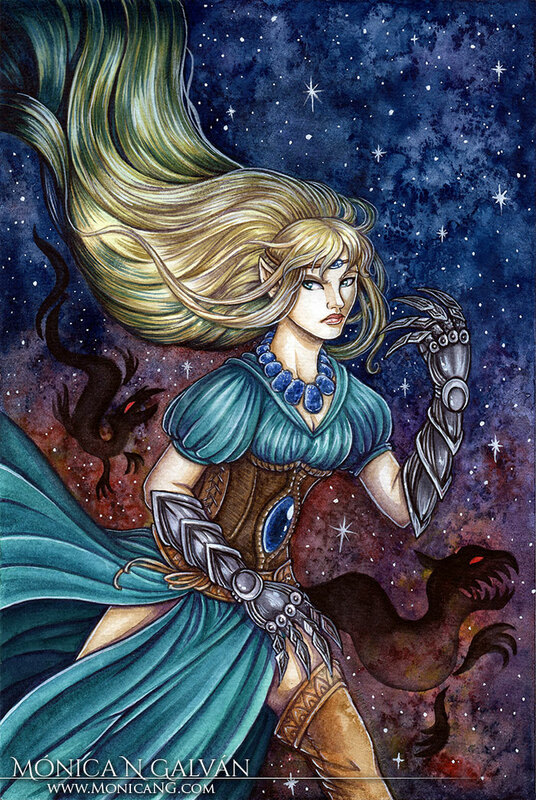 Watercolor of Syrma from my comic MoonSlayer. 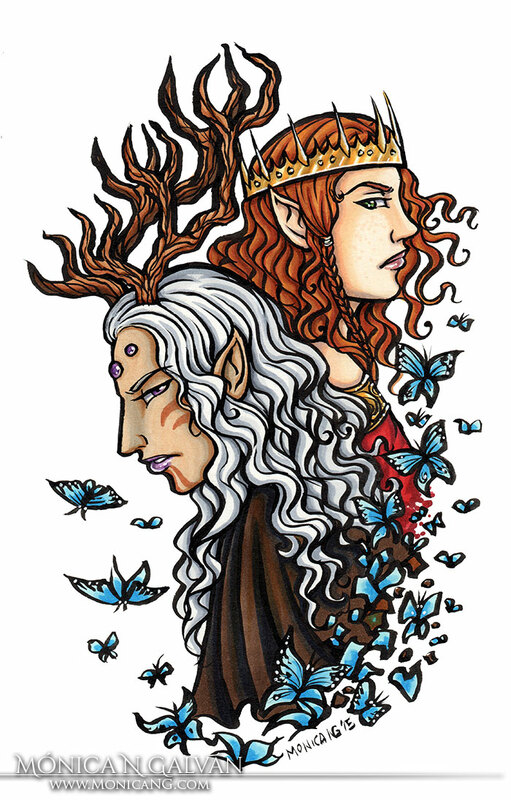 Made with a pencil lineart, watercolors and white gouache. 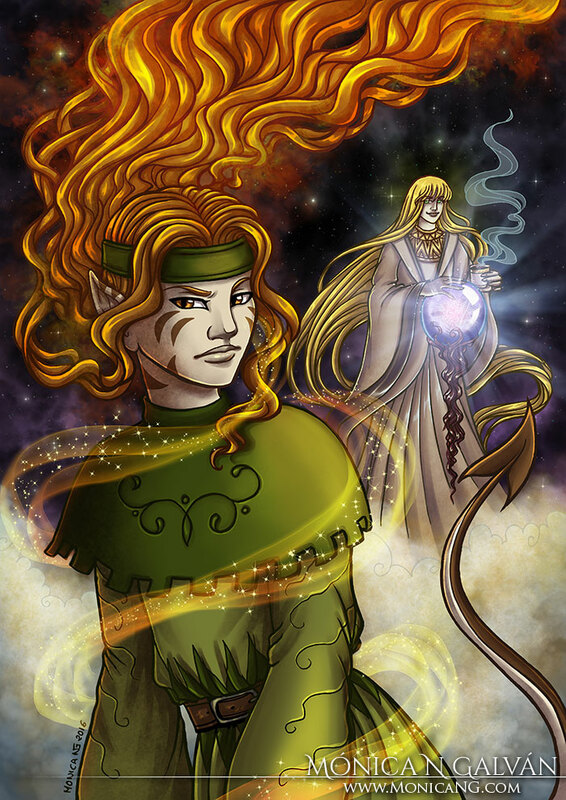 Featuring Puck and Ignus. Ink, coloured with ClipStudio + Photoshop. 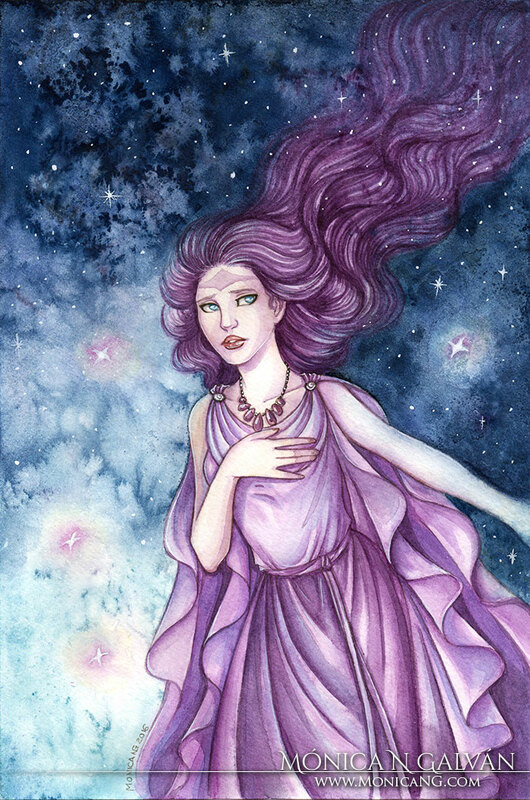 Watercolor of the oracle Nusicaa from my comic The Oracle of the Moon. 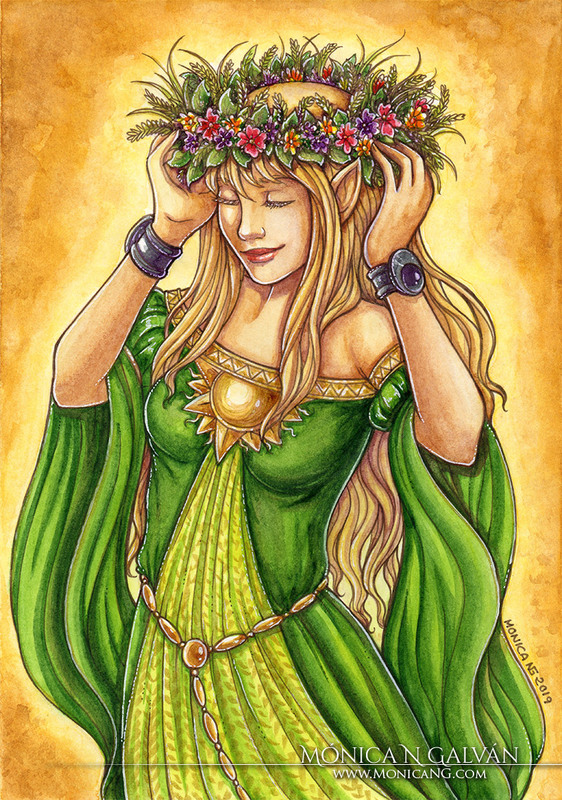 Made with a pencil lineart, watercolors and white gouache. I made these tiny drawings to give a bit of color to the Patreon pledges. 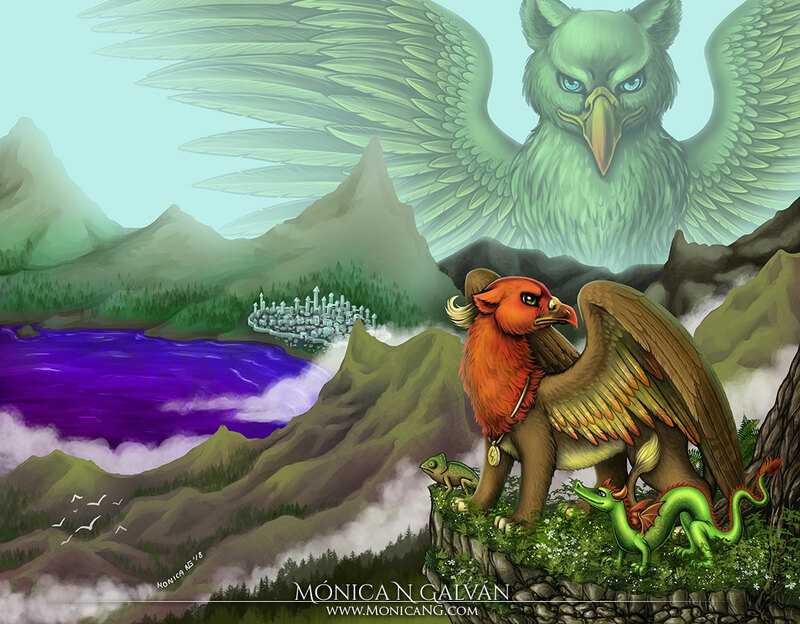 With a Sidhe (Merian), a Liosalfar (Keiden), a Grey Dragon (Venux) and an Entoi (Coriander). Ink and alcohol markers on Moleskine paper. Miniatura. Acrílico sobre lienzo. 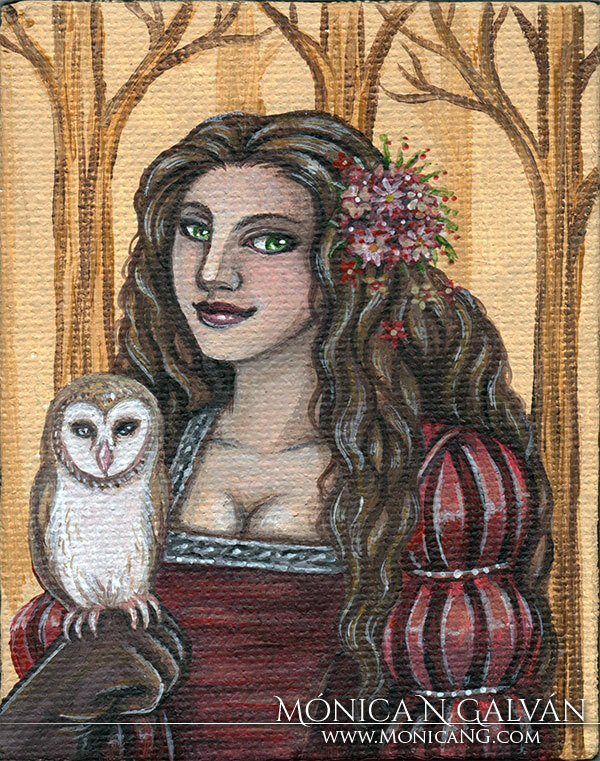 Tamaño naipe / ACEO. 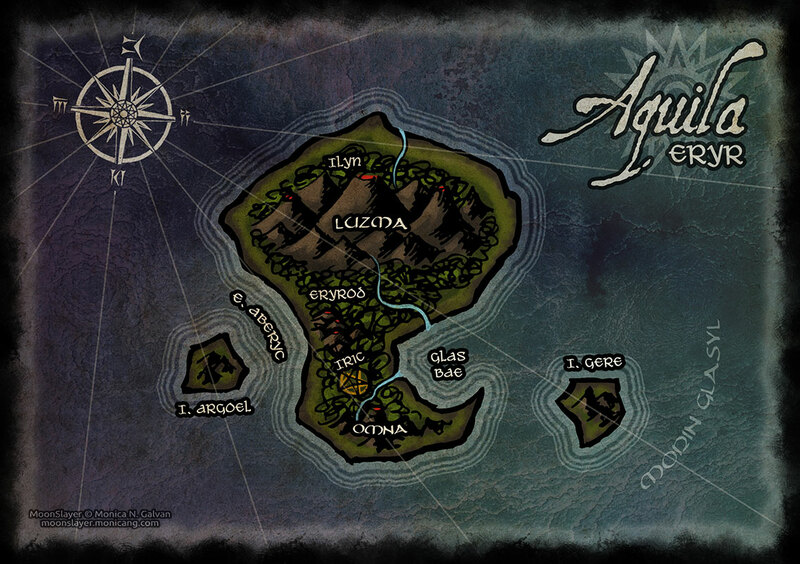 Mapa de Aquila, Avalûn. En Tirnanog. Featuring Syrma, Menkar, Alherani and Puck. Images and animation for the comic website. Original intro using parallax and hover css effects, also the background gradient changes with different colors depending the moment of the day. 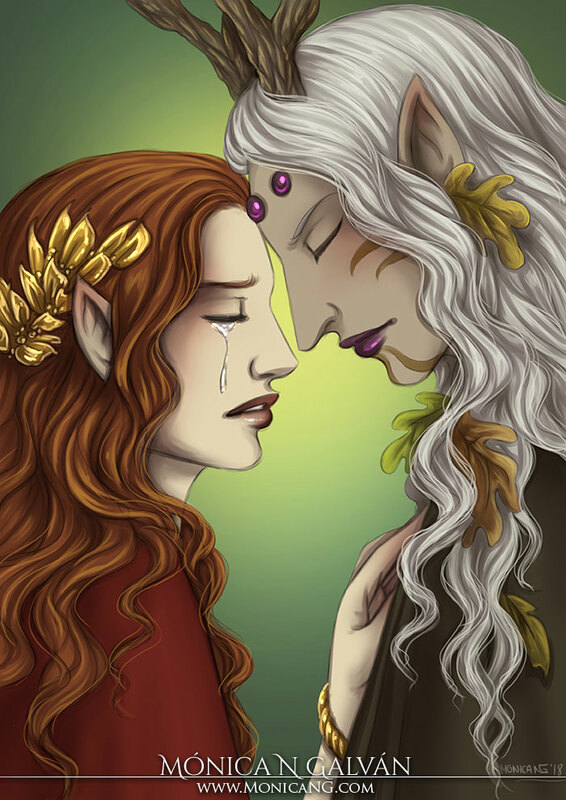 Alherani & Farian from Moonslayer. Ink + copic markers + moleskine paper. 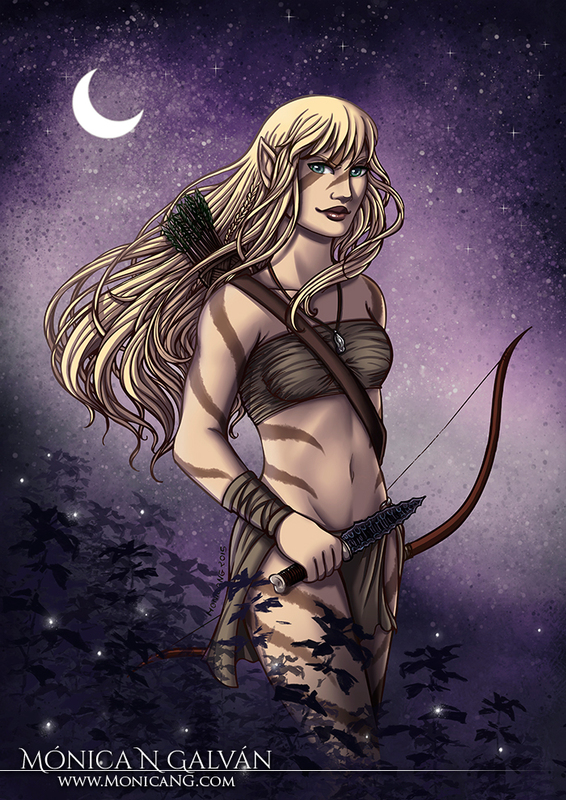 Nymph Syrma adult version for MoonSlayer vol1 cover.